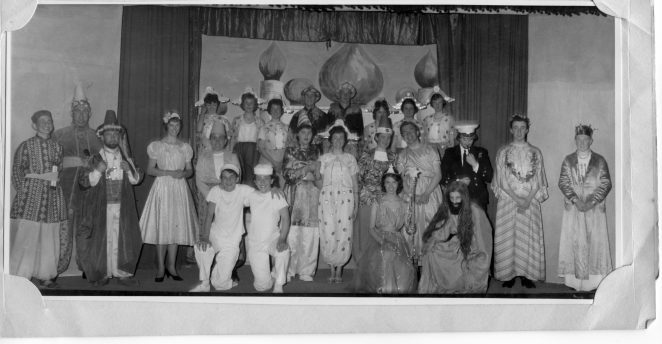 Sandra Böhtlingk (nee Baldwin) posted some memories and a photos of the pantomimes that were staged at Lewes Road Congregational Church in the very early 1960s. Seeing those wonderful photographs prompted me to start digging in my own personal collection and I found those you see here. All of the photographs were taken by N & H Photographic of Hartington Road, who seemed to do all the photoraphic work at Lewes Road. There was clearly a lot of effort which went into these productions and they all had quite large casts. I wonder how many similar amateur productions are produced these days? Click on a photograph to open a large version in a new window: click again to further enlarge. Sinbad the Sailor - 1961 This is the whole cast for the show from which the other photo on Sandra's page is taken. Hallo Geoff. Great photos! Thank you for sharing them. Great job, too, by the wardrobe mistress, Mrs Triggs. I can’t swear to it but I seem to recall lots of silver milk bottle tops being sewn on garments. Could it be these garments, I wonder? Well, whatever she used it looks very effective. I see more familiar faces now. Michael George, Mike, next to Richard, and is that you way over the left side? I am curious what role you were playing. 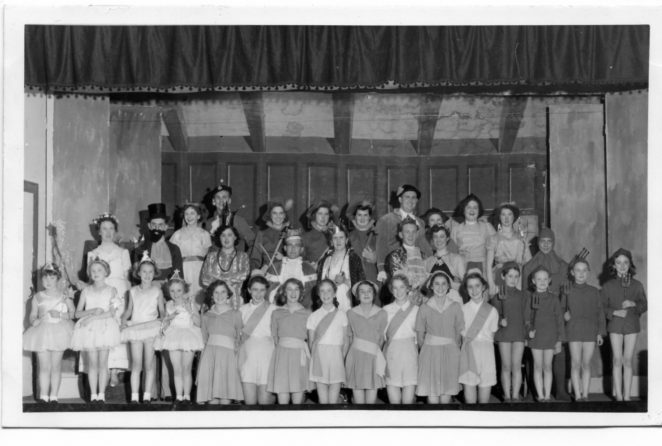 I was in the photo of Old King Cole. 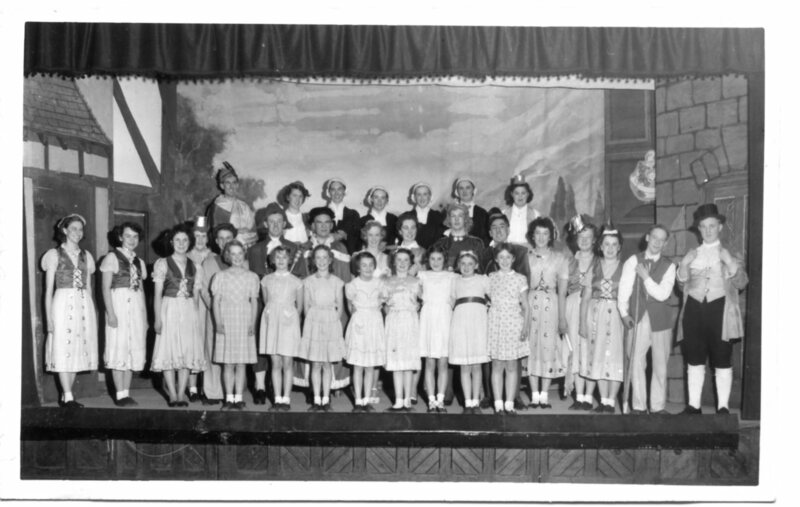 I am third from the right – a right little devil. My name then was Rosemary Styles. 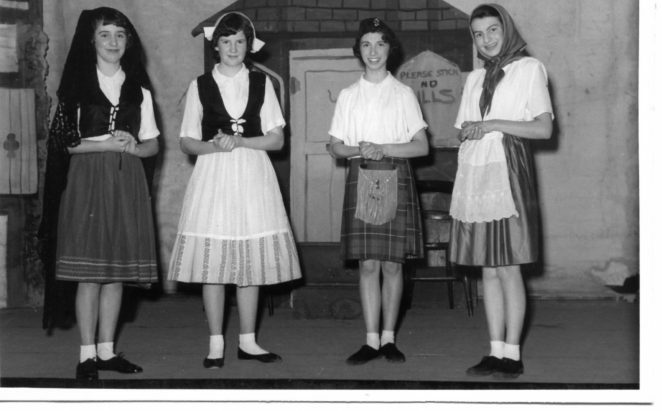 I attended the Maids Brigade and church from 1953 until I moved away in 1973 after getting married at the church. My sisters Kathleen, Veronica and Hilary also attended the church. My Aunt Win Patchin, and Edna Fowler were also in the Maids Brigade.